The Clinical approach or the Spa approach. The Clinical approach, is all about treating specific skin care conditions and getting results even if it means having to endure pain, side effects and downtime (Read: burning, swelling and irritation that make you want to run and hide). The spa approach is more about an indulgent experience that might not get big time results, but feels good. This is why I love what Oxygen Facial Treatment and its Boosters delivers. It is by far the most effective skin treatment out there, which is why celebrities like Madonna have made it famous. Not only is this treatment effective for Aspen’s harsh climate, it provides immediate results with no downtime and no unpleasant side effects. Better yet, this gentle technique feels good as the cool serum is gently misted and absorbed into your skin. 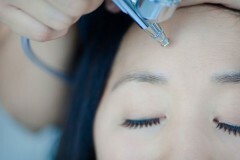 Customize your facial with one or more of our enhancements and receive a facial made to order. This is how I like to combine the spa experience with a clinical facial guaranteed to give you jaw-dropping results. Each facial is an absolutely amazing head-to-toe experience. Discover for yourself why Aspen Magazine and Aspen Peak Magazine recommend my Oxygen Facial for the Aspen lifestyle and climate. Aspen Facial Therapies: Schedule Now! I love, love, love Pila’s Oxygen Facial. My skin never felt so hydrated or looked better. Her amazing massage made me melt into her table…I didn’t want to leave. What should I expect during an Intraceuticals™ Oxygen Facial? Drift into a meditative state while cooling, calming oxygen is applied with a fine wand under light pressure directly to the skin’s surface allowing for the optimal absorption of one of our customized serums. Imagine a river of hydration running beneath the surface of your skin, providing all the nutrients it needs to bloom. Results are instant and continue to improve over the following days. In other words, this facial feels as good as it will make you look! Your skin will be thanking its lucky stars for this moisturizing facial. Our #1 best seller, this luxurious treatment is the perfect antidote to Aspen’s high and dry climate. An infusion of vitamins and antioxidants deeply hydrates, enhances volume and reduces the appearance of fine lines and wrinkles. Skin will feel softer and smoother, with a healthy glow. This facial treatment combines botanical brighteners and a super concentrated Vitamin C to brighten and balance dull, uneven skin tone. Lift unwanted pigmentation to create a more translucent and even complexion. 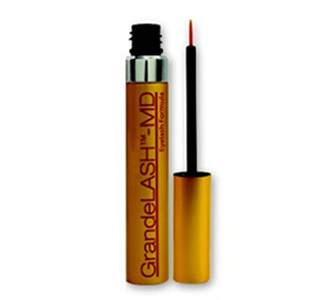 Pigmentation is minimized, leaving your skin luminous, toned and more radiant. Is acne putting a damper on your social calendar? Mischievous skin can be cleared with a little counseling from our Clarity serum. This facial refines the appearance of blemish prone, oily, combination, sensitive and problem prone skin with the ultimate weapon against impurities and irritation. 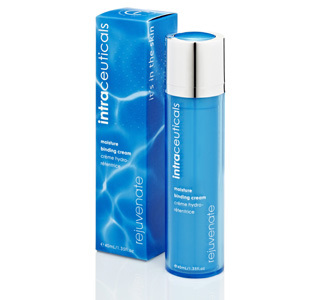 Salicylic acid disperses oil build-up, leaving skin that is clearer and smoother. Unlike so many other acne treatments, this pleasant treatment helps to reduce visible effects without excessive dryness or flaking. What we “feed” our skin is a lot like what we feed our bodies. This propriety line of boosters by Intraceuticals™ allows you to create a recipe for your facial the same way you would you would select vegetables and fruits for a smoothie at the juice bar. Add on any of these targeting, “boosting” additives for a customized facial to suit your skin’s individual needs. 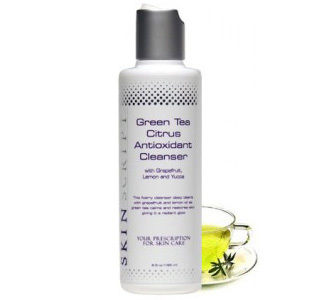 This booster acts like a green juice for your skin with powerful antioxidants to detoxify your skin. Exotic natural Kakadu plum from the Australian rainforest helps fight free radicals and improve the appearance of dark circles and puffiness. The overworked or travel weary will feel revitalized. Carrots, mango and watermelon have a ton of vitamin A, just like this booster. 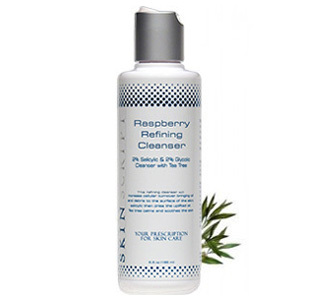 Pores are refined, fine lines softened, skin is tight, pore-free, and glowing. You won’t believe your eyes! Just like a tall glass of orange juice, your skin will drink up these 3 synergistic forms of vitamin C, which protects, strengthens and brightens. 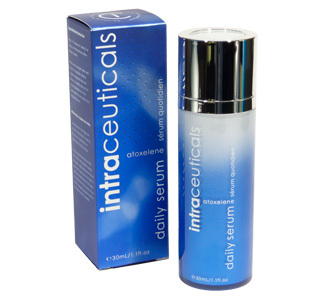 This booster is excellent for skin with irregular tone and sun damage. 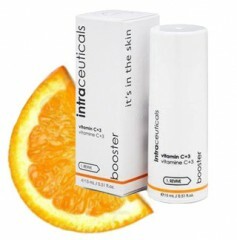 Vitamin C is proactive against the negative effects of sun and free radical damage, while providing a co-factor for collagen synthesis for improved skin radiance. This facial is the perfect antidote to our active Aspen outdoor lifestyle. 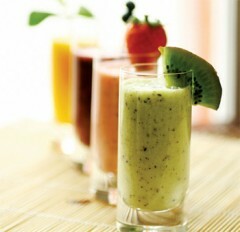 A protein smoothie for your skin, this booster contains a potent cocktail of collagen messenger peptides promote skin renewal. 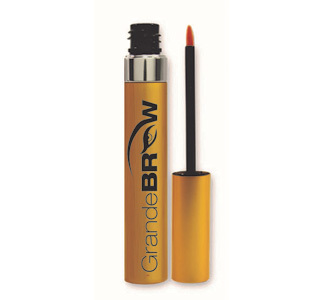 It rejuvenates and restores skin volume and elasticity. Think of this facial treatment as a “boot camp” for your skin. No one loves getting injections in their face—what they love are the results. Try this painless alternative instead. Firms, lifts and plumps the appearance of wrinkles caused by facial muscle contractions around the forehead, eye, nasal folds and lip areas, lessening expression and stress lines without pain or injections. Heaven on Earth believes in using natural, intelligent ingredients. We have carefully chosen clinically formulated products that have been chirally formulated to cause the least amount of reaction and sensitivity in your skin. Our signature facial therapies are designed to treat your skin care concerns while improving the skin’s appearance and repair damaged skin. Even the most troubled skin cases can benefit from our natural and proven ingredients making them a must-have for even the most mischievous skin. 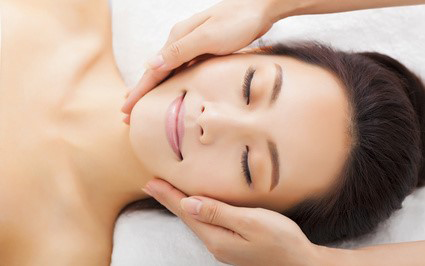 Aromatherapy and light massage are included in each facial. Treat yourself and your skin right with this Heaven on Earth signature facial that combines clinical skin treatment with pure spa luxury and relaxation. How your skin behaves isn’t just about what products you use or what kind of treatments you get—it’s how you feel, inside and out. This facial uses sonic waves to gently exfoliate the within the skins deeper layers. We then apply a Thai White clay mask to soothe sunburn and skin over exposed to the elements. 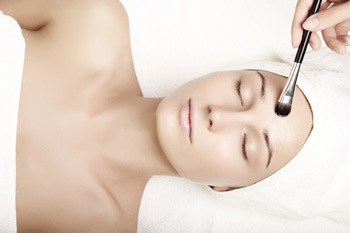 Combine this facial with spa add-on services for the ultimate indulgence that will leave you looking and feeling great. Aspen’s dry, “where did all the moisture in my skin go?” and arid climate can make a girl feel like she’s aged 10 years just stepping off her jet plane. 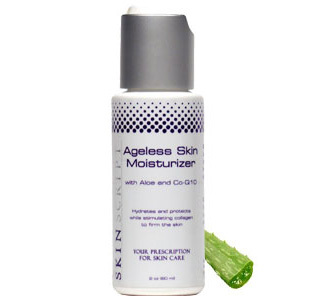 This facial will instantly replace lost moisture with an enzyme gentle enough for all skin types. A hydrating mask infuses the skin with moisturizers to smooth and stimulate cellular regeneration. They say everyone in Aspen looks ten years younger than their real age. Why? An active lifestyle and healthy diet is part of it, but it’s all about good skin care. With all your time spent outside hiking, biking, and skiing, this facial promotes deep hydration and helps protect skin from environmental damage while relieving the surface signs of aging. Acne-prone skin can be a frustrating, life-long problem and is especially difficult to treat in the mountains where intense sun and dry air can exacerbate the side effects of many acne medications, causing dry, flaky, and burned skin. Our goal at Heaven on Earth is to bring balance back into the skin. That means fighting bacteria at the source and minimizing oiliness but also nourishing and moisturizing the skin to aid healing and prevent future breakouts. Your skin will look lighter, softer and brighter. No painful extractions (unless asked for) or itchy burning chemical peels here. Our goal is to provide a clinical treatment that is also just as enjoyable, relaxing and luxurious as any of our other spa facials. Do you have combination skin? Dry skin that still breaks out? Aging skin that’s oily? Or do you want to indulge yourself with an afternoon at the spa that will leave you feeling and looking great with a combination facial and massage? When it comes to customizing a facial treatment for you at Heaven on Earth, the sky is literally the limit. My “natural” vacuum free micro dermabrasion. This approach is for the woman who doesn’t use fillers or botox but wants results. 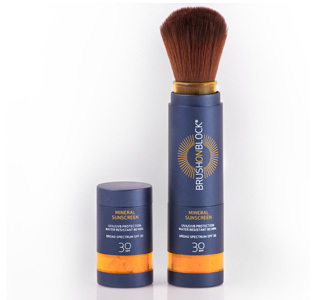 A hand held diamond tipped brush sloughs away dead skin to bring out a lighter, brighter and smoother surface. The results are immediate and amazing. I layer enzymes, serums and masks in between so the end results leave you feeling relaxed, refreshed and like you received a full facial. Heaven on earth. We soften and prepare your pores with natural enzymes that dissolves dead and damaged cells while promoting healthy cell renewal. Next, we use an ultrasonic skin spatula to gently and comfortably purge your compacted pores. It is common to notice pores continuing to purge for a couple days after their facial. We offer an extractions only session post-facial to save you from doing extractions yourself. Add a calming, hydrating, firming, anti-aging, brightening or detoxifying mask to your Massage, Oxygen Facial, or let us choose which is best for your skin type. 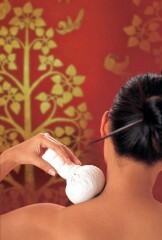 Indulge yourself and enhance our facial with a shoulder, neck and scalp massage. We use a steamed herbal poultice and Pila’s own Visionary Trigger Point Therapy to melt away knots, stress and tension held in your upper body.